As Jews are arrested for the crimes of wearing Jewish garments, whispering songs of prayer, or shouting back at harassing Arabs on the Temple Mount, Muslim criminal behavior goes unchecked and unquestioned. How and why has the Temple Mount become such a contentious modern day issue? Jewish tradition refers to the Temple Mount as the “Even Shtiyah“, or “Drinking Stone” , meaning that the world is spiritually watered and nurtured from the holy site. Considered the spiritual center of the entire universe, the Temple Mount is the most holy place in all of Judaism and third most holy to Muslims, preceded by Mecca, the birthplace of the Prophet Mohammed, and Medina, where Mohammed was welcomed when he fled his adversaries. The specific location of the Temple Mount is mentioned no less than 457 times under its various names in the Bible and is not directly mentioned even once in Islam’s Koran. The Temple Mount became Islam’s third holy site based on an erroneous interpretation of Mohammed’s dream noted in the Koran. The story recounts that Mohammed dreamt that he took a midnight ride on his flying horse “from the Holy Mosque (in Mecca) to the further mosque (al-masjid al-Aqsa)”. Although the Koran never clarifies where al-Aqsa is located, in the late 7th century it became accepted that this was referring to the Temple Mount. Assuming his vision happened on the Temple Mount bedrock, the Dome of the Rock was built on this location. The Al-Aqsa mosque was built later, around 705 CE. Jews have known the holiness of this site from time immemorial. Historically, Abraham, the father of the Jewish people, was commanded by God to offer his son, Isaac, on this mountain (Genesis 22). Jacob’s Biblically famous dream happened on the Temple Mount, causing him to declare, “This is none other than the abode of God and that is the gateway to heaven” (Genesis 28:10-18). King David purchased the site, declaring it capital of his kingdom and built an altar there (1 Chronicles 21:25). The son of King David, King Solomon, built the First Temple on the Mount around 957 BCE (1 Kings 8:11), which was later destroyed by the Babylonians in 586 BCE. The Second Temple, built by Herod the Great, was inaugurated around 19 BCE. Knowing the religious significance of the site, Herod employed 1,000 priests as masons and carpenters to carry out the holy work. The Romans destroyed the Second Temple in 70 CE. Jewish tradition maintains that in the End of Days, during the Messianic Era, a third and final Temple will be built at the same location as the previous Temples. Today, the Temple Mount is controlled by the Islamic Waqf. Following the liberation of Jerusalem during the Six Day War, the area was handed back over to Jordanian control. Since then, Jews have been continually persecuted at the hands of violent Muslims upon ascending the Mount. The Israeli Supreme Court has ruled no less than 19 times that the Temple Mount must be open for all denominations to visit and pray there. Yet, the Waqf continuously does not comply. 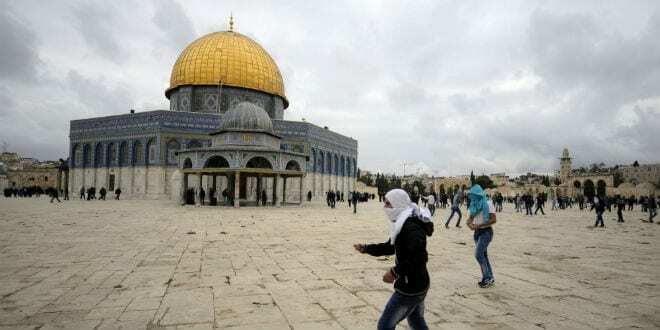 “Unfortunately, though this is the main spot on earth where God chose to rest His presence and make Himself known to man, the Arabs on the Temple Mount continuously harass non-Muslim visitors by yelling and intimidating them to prevent them from praying there,” expressed Glick. 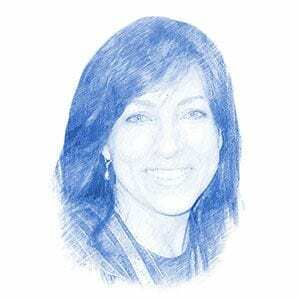 For that reason and more, Glick founded The Temple Mount Heritage Foundation (TMHF) in 2009. A non-profit organization, TMHF serves as an umbrella for numerous advocacy groups active in promoting education and accessibility of the Temple Mount. That may sound strange to those who think that the Western Wall, located below the Temple Mount, is the holiest location for Jews. “Actually, the wall was built by Herod to retain and maintain the second Holy Temple. 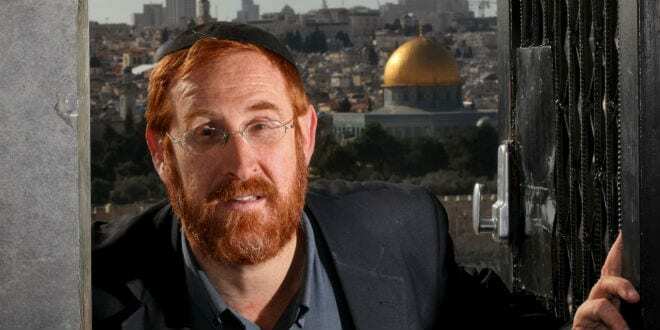 For thousands of years, Jews have always associated the Temple Mount as the place where God’s presence can most strongly be felt,” said Glick.